From the Archive: Many of the world’s crises, like those in Syria and Ukraine, can be better understood by factoring in Israel’s maneuvers to involve the U.S. in bombing Iran. Documents leaked by Pvt. Manning exposed how one such scheme might have played out, as Robert Parry wrote in 2013. From U.S. embassy cables leaked by Pvt. 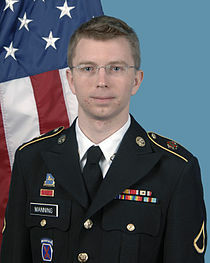 Bradley (now Chelsea) Manning, you can easily imagine how the propaganda game might have played out, how Americans could have been panicked into supporting another unnecessary war in the Middle East, this time against Iran. Except that Manning’s release of the documents spoiled the trick. Perhaps, only years later after grave human costs and severe economic repercussions would the American people learn the truth: that the IAEA under Amano wasn’t the objective source that they had been led to believe, that Amano was something of a U.S.-Israeli puppet who had feigned a pro-Iranian position early on to burnish his credentials for pushing an anti-Iranian line subsequently; that after he was installed, he had even solicited U.S. officials for money and had held secret meetings with Israelis (to coordinate opposition to Iran’s nuclear program while maintaining a polite silence about Israel’s rogue nuclear arsenal). However, because of the actions of Pvt. Manning, the rug was pulled out from under this possible ruse. The U.S. embassy cables revealing the truth about Amano were published by the U.K. Guardian in 2011 (although ignored by the New York Times, the Washington Post and other mainstream U.S. news outlets). The cables also drew attention from Web sites, such as Consortiumnews.com. So, the gambit could not work. If it had been tried, enough people would have known the truth. They wouldn’t be fooled again and they would have alerted their fellow citizens. Pvt. Manning had armed them with the facts. And this scenario, while hypothetical, is not at all far-fetched. When the cables were leaked about a year after Amano’s appointment, his IAEA was busy feeding the hysteria over Iran’s nuclear program with reports trumpeted by think tanks, such as the Institute for Science and International Security, and by the Washington Post and other U.S. news media. In another leaked cable dated Oct. 16, 2009, the U.S. mission in Vienna said Amano “took pains to emphasize his support for U.S. strategic objectives for the Agency. Amano reminded ambassador [Glyn Davies] on several occasions that he was solidly in the U.S. court on every key strategic decision, from high-level personnel appointments to the handling of Iran’s alleged nuclear weapons program. In February 2013, the front page of the Washington Post offered a taste of what the propaganda campaign might have looked like when investigative reporter Joby Warrick hyped an account about Iran’s nuclear program pushed by David Albright, director of the Institute for Science and International Security who had lent support to Bush’s invasion of Iraq a decade ago. Bob- Terrific article. Great that you have credited Manning’s release of cables outlining the scheme to set up Iran for a war. The more people know the extent of his document release and its value to the American people and in holding accountable the actions of our policy makers in concrete terms the better. now infamous Geoffrey Pyatt, and reporters like Warrick, it is good that you have told it like it is. Hopefully, the pressure will build to marginalize them over time. At least they are revealed here. Now it is a question of monitoring their actions closely and holding their feet to the fire again and again.